Our new training facility has top of the line, state-of-the-art equipment to ensure that the Pipefitters from Local Union 208 are the most qualified and the best trained Service & Construction Journeymen on the job site! If you're a Pipefitters Local 208 Journeyman or Apprentice, make sure you log onto to the Members Only section for the most recent training classes and sign-ups. The Attached Statement is regarding the on-going work that the Locals and the UA is trying to develop. The UA & MCAA have been working hard to spread the word about the opportunities we offer Apprentices and Members alike. We have also developed materials that can be customized for local use, such as videos and brochures on Apprenticeships and the Trades. Our local training centers have access to this material at no cost and more information can be found in the e-Resource Training Guide section of uaolr.org. The UA & MCAA will continue to partner with you on this effort and are here to help with organizing, marketing and recruitment as we grow our ranks and train the workforce of the future. Get more information HERE! Heard about our STEP Program? Click HERE to learn more. 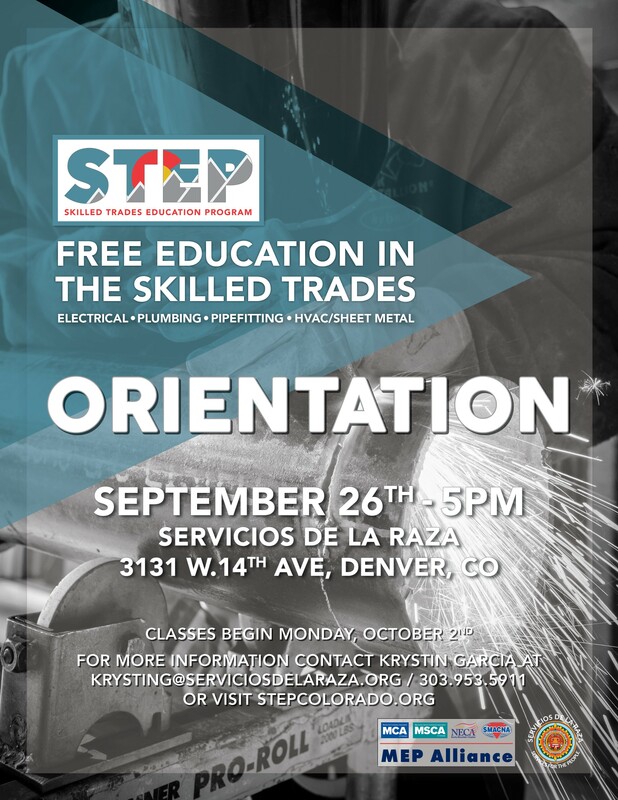 Don't Miss the STEP Orientation! Be sure to check out the above flyer for more info.